A necropolis (plural: necropolises or necropolises) is a large cemetery or burial place. Apart from the occasional application of the word to modern cemeteries outside large towns, the term is chiefly used of burial grounds near the sites of the centers of ancient civilizations. Often times, these sites incorporate other ancient burial techniques and structures, such as tumuli, crypts, stela, beehive tombs, and catacombs. A necropolis, thus, is indeed a "city of the dead," a place where the physical remains of numerous people from a society are placed in their eternal "homes." The design and attitudes of each society towards such places reveals much about their beliefs concerning death and the afterlife. Additionally, as places expected to endure as long as possible, the content and style of inscriptions, markers, and monuments also reveals much of their culture and creativity. The word necropolis derives from Ancient Greek: nekro meaning dead, and polis meaning city. Nekropolis thus is literally translatable as "City of the Dead." Later it was assimilated into Latin without any significant change before being taken up by the English Language. The word is often used with a different connotation in fantasy literature; for instance, it might refer to a city populated by zombies or other undead creatures. Necropolises were built for many reasons. Sometimes their origin was purely religious, such as in the case of the Valley of the Kings in Egypt in which many Pharaohs, who were considered to be Gods incarnate, were entombed. Other cultures created necropolises in response to prohibitions on burials within city limits. In the Roman Empire, roads immediately outside towns came to be lined with funerary monuments. Examples of this kind of necropolis can be found on the Appian Way just outside Rome and at the Alyscamps in Arles, France. Simple cemeteries took the place of larger, more elaborate necropolises during the Middle Ages, but in the nineteenth century, necropolises enjoyed a revival spurred by the Victorian fashion for large, elaborate memorials. Necropolises are still created and used to this day, such as the one found in Colma, California. This suburb of San Francisco has been used for decades to bury the dead of San Francisco, as well as those of other nearby towns. The citizens had felt it necessary to bury the dead outside of city limits, and perhaps out of sight as well. Colma has become more of a working-class suburb, but the dead still outnumber the living in this small town. The following is a selection of famous necropolises from around the world. The Burgstallkogel (also known as Grillkogel) is situated near the confluence of the Sulm and the Saggau river valleys in Southern Styria, about 30 km south of Graz between Gleinstätten and Kleinklein. The hill hosted a significant settlement of trans-regional importance from 800 B.C.E. to about 600 B.C.E. Surrounding the hill is one of the largest iron age hill grave necropolises, originally composed of at least 2,000 tumuli, that exists in continental Europe. 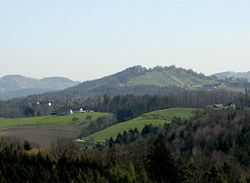 The hill on which the Burgstallkogel is prominently situated runs from east to west, straddling the southern banks of the Sulm valley, on a trade route that crossed the Koralpe mountain range from Carinthia, connecting to the southern parts of the basin of Graz and onward to the Hungarian plains. The settlement apparently controlled long-distance trade along this route, which had been in use since neolithic times, and prospered from it. The community exchanged goods far into Italy and into the Balkans, and might have exploited the iron ore deposits that exist on the hill. The discovery of the necropolis provided archaeologists with a wealth of information regarding the ancient trade route. The Varna Necropolis is a burial site in the western industrial zone of Varna (approximately half a kilometer from Lake Varna and 4 km from the city center), Bulgaria, internationally considered a key site in world prehistory. The site was accidentally discovered in October 1972 by excavation operator Raycho Marinov. Since then, 294 graves have been found in the necropolis, but it is estimated that they make up only 30 percent of the graves in the complex. The graves that have been excavated have been dated to 4600-4200 B.C.E. (radiocarbon dating, 2004) and belong to the Eneolithic Varna culture. 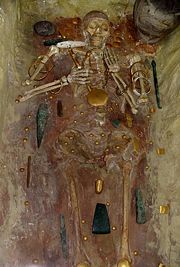 Many of the graves contain sophisticated examples of metallurgy (gold and copper), pottery (about 600 pieces, including gold-painted ones), high-quality flint and obsidian blades, beads, and shells. There are crouched and extended inhumations. Some graves do not contain a skeleton, but grave gifts (cenotaphs). Interestingly, the symbolic (empty) graves are the richest in gold artifacts. 3000 gold artifacts were found, with a weight of approximately six kilograms. Grave 43 contained more gold than has been found in the entire rest of the world for that epoch. Three symbolic graves contained masks of unburnt clay. The Alyscamps is a large Roman necropolis, located a short distance outside the walls of the old town of Arles, France. It was one of the most famous necropolises of the ancient world. Roman cities traditionally forbade burials within the city limits. It was therefore common for the roads immediately outside a city to be lined with tombs and mausoleums; the Appian Way outside Rome provides a good example. The Alyscamps was Arles' main burial ground for nearly 1,500 years. It was the final segment of the Aurelian Way leading up to the city gates and was used as a burial ground for well-off citizens, whose memorials ranged from simple sarcophagi to elaborate monuments. The Alyscamps continued to be used after the city was Christianized in the fourth century. Saint Genesius, a Roman civil servant beheaded in 303 for refusing to follow orders to persecute Christians, was buried there and rapidly became the focus of a cult. Saint Trophimus, possibly the first bishop of Arles, was buried there soon afterwards. It was claimed that Christ himself attended the ceremony, leaving the imprint of his knee on a sarcophagus lid. The area became a highly desirable place to be buried and tombs soon multiplied. As early as the fourth century there were already several thousand tombs, necessitating the stacking of sarcophagi three layers deep. Burial in the Alyscamps became so desirable that bodies were shipped there from all over Europe, with the Rhône boatmen making a healthy profit from the transportation of coffins to Arles. The Alyscamps continued to be used well into medieval times, although the removal of Saint Trophimus' relics to the cathedral in 1152 reduced its prestige. During the Renaissance the necropolis was systematically looted, with city councilors giving sarcophagi as gifts to distinguished visitors and local people using funerary stones as building material. It was further damaged by the arrival of the railway and a canal in the nineteenth century, both of which sliced across the site. The better of the remaining sarcophagi are now on display in the Museum of Ancient Arles, which has one of the best collections of Roman sarcophagi to be found anywhere outside Rome itself. 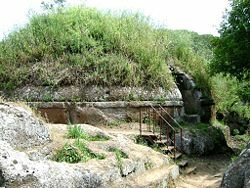 A burial mound, so-called Tumulus, part of the necropolis of Banditaccia at Cerveteri in Lazio, Italy. The most famous attraction of Cerveteri, Italy, is the Necropoli della Banditaccia, which has been declared by UNESCO a World Heritage Site together with the necropolises in Tarquinia. In includes a total of 1,000 tombs, many housed in characteristic mounds, or tumuli. It is the largest ancient necropolis in the Mediterranean area. The tombs date from the ninth century B.C.E. (Villanovan culture) to the late Etruscan age (third century B.C.E.). The most ancient ones are in the shape of a pit, in which the ashes of the dead were housed. From the Etruscan period are two types of tombs: the mounds and the so-called "dice," the latter being simple square tombs built in long rows along "roads." 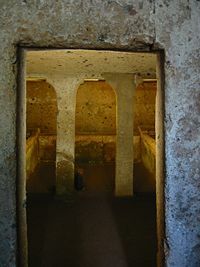 A Burial Chamber in the Etruscan necropolis of Banditaccia near Cerveteri in Lazio, Italy. The mounds are circular structures built in tuff, and the interiors, carved from the living rock, house a reconstruction of the house of the dead, including a corridor (dromos), a central hall, and several rooms. Modern knowledge of Etruscan daily life is largely dependent on the numerous decorative details and finds from such tombs. The most famous of these mounds is the so-called Tomba dei Rilievi (Tomb of the Reliefs, fourth century B.C.E. ), identified from an inscription as belonging to one Matunas and provided with an exceptional series of frescoes, bas-reliefs and sculptures portraying a large series of contemporary life tools. The most recent tombs date from the third century B.C.E. Some of them are marked by external cippi, which are cylindrical for men, and in the shape of a small house for women. Most finds excavated at Cerveteri necropolis are currently housed in the National Etruscan Museum, Rome. Others are in the Archaeological Museum at Cerveteri itself. The Kremlin Wall Necropolis (Russian: Некрополь у Кремлёвской стены) is a part of the Kremlin Wall which surrounds the Moscow Kremlin and overlooks Red Square. Soviet governments buried many prominent local and international Communist figures here. The first burial in the Red Square was performed on November 10, 1917 by the order of the Military Revolutionary Committee. The Soviets buried 238 Red Guards and soldiers who had died during the October Revolution in two common graves. 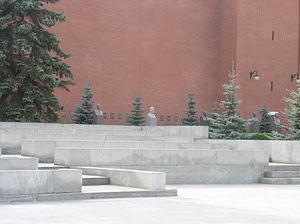 In 1924, Lenin's Mausoleum became the center of the Kremlin Wall Necropolis. Behind the mausoleum and at the foot of the Senatskaya Tower of the Kremlin, there are the graves of Yakov Sverdlov, Felix Dzerzhinsky, Mikhail Frunze, Mikhail Kalinin, Georgy Zhukov, Andrei Zhdanov, Joseph Stalin, Kliment Voroshilov, Semyon Budyonny, Mikhail Suslov, Leonid Brezhnev, Yuri Andropov, and Konstantin Chernenko, with monuments. On both sides of the Senatskaya Tower, the Soviets placed urns with the ashes of CPSU members and members of foreign Communist parties, statesmen, military and political leaders, prominent people of science and culture between 1925 and 1984. Several cosmonauts, including Yuri Gagarin and the victims of the Soyuz 1 and Soyuz 11 disasters, are buried in the necropolis, as well as Sergei Korolev, chief designer of the Soviet space program. View of Saqqara necropolis, including Djoser's step pyramid (center). The mound to the far left is the Pyramid of Unas; the one on the right is the Pyramid of Userkaf. Located some 30 km south of modern-day Cairo and covering an area of around 7 km by 1.5 km, Saqqara or Sakkara (Arabic: سقارة) is a vast, ancient burial ground in Egypt, featuring the world's oldest standing step pyramid. While Memphis was the capital of Ancient Egypt, Saqqara served as its necropolis. Although it was eclipsed as the burial ground of royalty by Giza and later by the Valley of the Kings in Thebes, it remained an important complex for minor burials and cult ceremonies for more than 3,000 years, well into Ptolemaic and Roman times. The step pyramid at Saqqara was designed by Imhotep for King Djoser (c. 2667-2648 B.C.E.). It is the oldest complete hewn-stone building complex known in history. In addition to Djoser's pyramid, there are another 16 pyramids on the site, in various states of preservation or dilapidation. That of the fifth dynasty Pharaoh Unas, located just to the south of the step pyramid and on top of Hotepsekhemwi's tomb, houses the earliest known example of the Pyramid Texts – inscriptions with instructions for the afterlife used to decorate the interior of tombs, the precursor of the New Kingdom Book of the Dead. Saqqara is also home to an impressive number of mastaba tombs. Because the necropolis was lost beneath the sands for much of the past two millennia – even the sizable mortuary complex surrounding Djoser's pyramid was not uncovered until 1924 – many of these have been superbly preserved, with both their structures and lavish internal decorations intact. Entrance of the Cave of Coffins, in the Bet She'arim National Park. 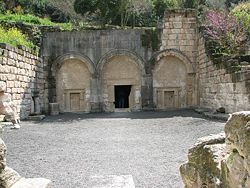 Beit She'arim (Hebrew: בית שערים) is the archaeological site of a town and a necropolis on the southern foothills of The Lower Galilee. Most of the remains date from the second to fourth centuries C.E. The inscriptions in the catacombs reveal that the necropolis was of Jewish importance. It served as both a public and private cemetery; the public sections are larger and more complex, resembling catacombs, while the private areas were reserved for members of certain families. The site was mostly abandoned around seventh century and was left to natural ruin and plundering by tomb robbers. The site was first discovered by accident in 1936 by Alexander Zeid who stayed in the area while watching over the lands of the Jewish National Fund. The Necropolis of Chellah, Chella or Sala (Arabic: شالة) is a necropolis and complex of ancient and medieval ruins that lie on the outskirts of Rabat, Morocco’s Ville Nouvelle, or modern section. The site of Chellah is doubtless the most ancient human settlement on the mouth of the Bou Regreg river. The Phoenicians and the Carthaginians, who founded several colonies in Morocco, probably inhabited the banks of the Bou Regreg. Chellah contains the remains of a Roman town known as Sala Colonia and referred to as Sala by Ptolemy. Excavations show an important port town with uncovered remains including the Decumanus Maximus, or principal way, were discovered, as well as remains of a forum, a monumental fountain, a triumphal arch, and other Roman ruins. The site was abandoned in 1154 in favor of nearby Salé. The Almohad dynasty used the ghost town as a necropolis. In the mid-fourteenth century, a Merinid sultan, Abu l-Hasan, built several monuments and the imposing main gate (dated to 1339). These later Merinid additions included a mosque, a zawiya, and royal tombs, including that of Abu l-Hasan. Many of the structures in Chellah were damaged or destroyed in an eighteenth century earthquake. The site has been converted to a garden and is now a tourist attraction. The Ming Dynasty Tombs (Míng cháo shí sān líng; lit. Thirteen Tombs of the Ming Dynasty) are located some 50 kilometers due north of Beijing at a carefully selected site. The site was chosen by the third Ming Dynasty emperor Yongle (1402 - 1424), who moved the capital of China from Nanjing to the present location of Beijing. From the Yongle Emperor onwards, 13 Ming Dynasty Emperors were buried in this area. In August 2003, the site was listed as a UNESCO World Heritage Site. Three tombs have been excavated: Chang Ling, the largest Ding Ling, whose underground palace is open to the public, and Zhao Ling. The site of the Ming Dynasty Imperial Tombs was carefully chosen according to Feng Shui (geomancy) principles. According to these, bad spirits and evil winds descending from the north must be deflected; therefore, an arc-shaped area at the foot of the Jundu Mountains north of Beijing was selected. This 40 square kilometer area - enclosed by the mountains in a pristine, quiet valley full of dark earth, tranquil water and other necessities as per Feng Shui - would become the necropolis of the Ming Dynasty. One of the largest necropolises in the world, with a diameter of approximately 8 kilometers, Makli Hill is supposed to be the burial place of some 125,000 Sufi saints. It is located on the outskirts of Thatta, the capital of lower Sind until the seventeenth century, in what is the southeastern province of present-day Pakistan. Legends abound about its inception, but it is generally believed that the cemetery grew around the shrine of the fourteenth century Sufi, Hamad Jamali. The tombs and gravestones spread over the cemetery are material documents marking the social and political history of Sind. 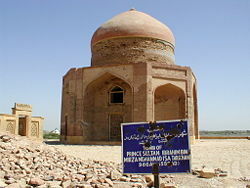 Imperial mausolea are divided into two major groups, those from the Samma (1352–1520) and Tarkhan (1556–1592) periods. The tomb of the Samma king, Jam Nizam al-Din (reigned 1461–1509), is an impressive square structure built of sandstone and decorated with floral and geometric medallions. Similar to this is the mausoleum of Isa Khan Tarkhan II (d. 1651), a two-story stone building with majestic cupolas and balconies. In contrast to the syncretic architecture of these two monuments, which integrate Hindu and Islamic motifs, are mausolea that clearly show the Central Asian roots of the later dynasty. An example is the tomb of Jan Beg Tarkhan (d. 1600), a typical octagonal brick structure whose dome is covered in blue and turquoise glazed tiles. Today, Makli Hill is a United Nations World Heritage Site that is visited by both pilgrims and tourists. 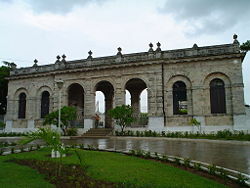 Necropolis de San Carlos Borromeo aka Cementerio de San Carlos or San Carlos Cemetery is located in Matanzas, Cuba. It was inaugurated on September 2, 1872. The U.S. Congressman Joseph Marion Hernandez is interred there in the del Junco family crypt. The large seaside Paracas necropolis is perhaps the most famous necropolis in South America. It has allowed archaeologists to derive a host of information about the Paracas People, which was an important Andean society between approximately 750 B.C.E. and 100 C.E. First investigated by the Peruvian archaeologist Julio Tello in the 1920s, the necropolis is often called Wari Kayan and consists of large subterranean burial chambers, with an average capacity of about 40 mummies. It has been theorized that each large chamber was owned by a specific family or clan, who would place their dead ancestors in the burial over the course of many generations, in much the same way that family mausoleums are used today. Each mummy was bound with cord to hold it in place, and then wrapped in many layers of intricate, and finely woven textiles. These textiles are now known as some of the finest ever produced in the history of Pre-Columbian Andean societies, and are the primary works of art by which Paracas is known. A panoramic view of Colma, California, looking down from San Bruno Mountain. Colma is a small town in San Mateo County, California, at the northern end of the San Francisco Peninsula in the San Francisco Bay Area, founded as a necropolis in 1924. Much of the land of Colma is dedicated to cemetery usage. Such famous people as newspaper tycoon William Randolph Hearst and baseball legend Joe DiMaggio are buried there. With 17 cemeteries for the interment of humans and one for pets, the dead population outnumbers the living by thousands to one. Colma became the location of a large number of cemeteries when San Francisco, the town's powerful neighbor to the north, passed an ordinance in 1900 outlawing the construction of any more cemeteries in the city (mainly because of increased property values making the cost of using land for cemeteries prohibitive), and then passed another ordinance in 1912 removing all existing cemeteries from city limits. ↑ Makli Hill Makli Hill from Encyclopedia of Modern Asia, by Macmillan Reference USA, an imprint of the Gale Group Retrieved September 17, 2007. Bogucki, Peter, and Pam J. Crabtree. Ancient Europe: an Encyclopedia of the Barbarian World, 8000 B.C.E. – A.D. 1000. New York: Scribners, 2004, 341. Chapman, John. "Social inequality on Bulgarian tells and the Varna problem." The social archaeology of houses, 49—98. Edinburgh: Edinburgh University Press, 1990. Chapman, John. "The creation of social arenas in Varna." Sacred and profane. Oxford University Committee for Archaeology, Monograph 32, (1991), 152-171. Hayden, Brian. "An Archaeological Evaluation of the Gimbutas Paradigm." The Virtual Pomegranate, Issue 6. (1998). Higham, T., Gaydarska, B. & V. Slavchev. "The first AMS dates for the Varna cemetery." Antiquity (2004). Ivanov, Ivan, and M. Avramova. 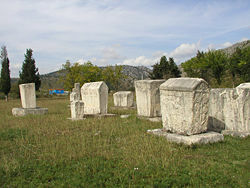 Varna Necropolis. Sofia, 2000. Marazov, Ivan. "The Blacksmith as 'King' in the Necropolis of Varna." From the Realm. (1997). Marler, Joan. A Response to Brian Hayden's article "An Archaeological Evaluation of the Gimbutas Paradigm." The Virtual Pomegranate Issue 10, (1999). Renfrew, C. "Varna, and the social context of early metallurgy." Antiquity 52 (1978), 197-203. Slavchev, V. "Fragmentation research and the Varna Eneolithic Cemetery Spondylus rings." Proceedings of the Varna Round Table (2004). Todorova, Khenrieta. The eneolithic period in Bulgaria in the fifth millennium B.C.E. Oxford: British Archaeological Reports. BAR supplementary series 49, (1978). This page was last modified on 14 November 2018, at 16:23.